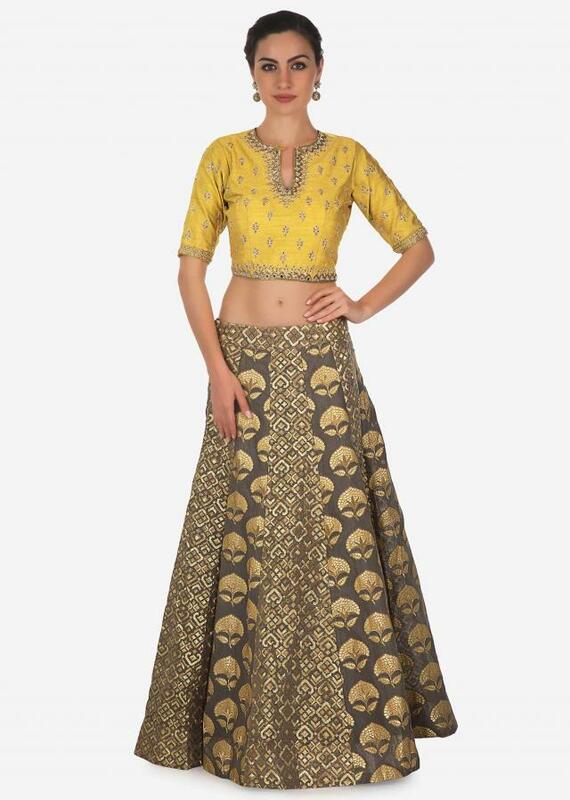 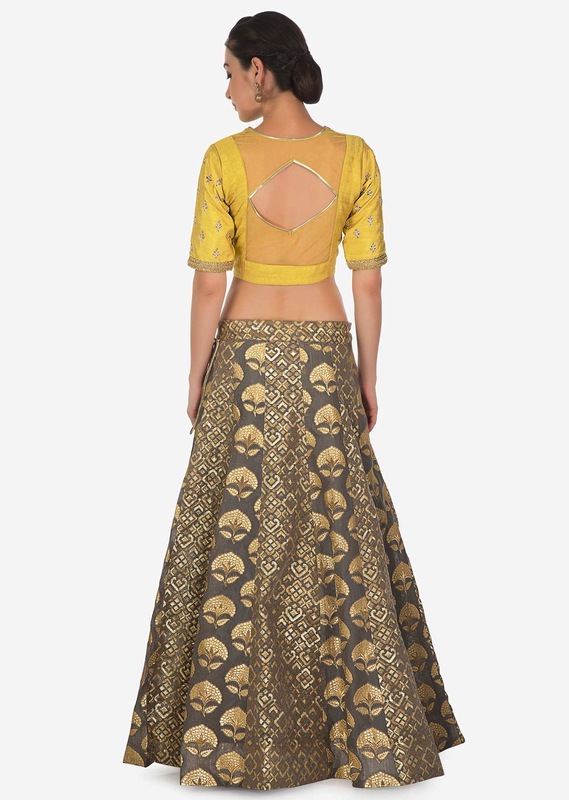 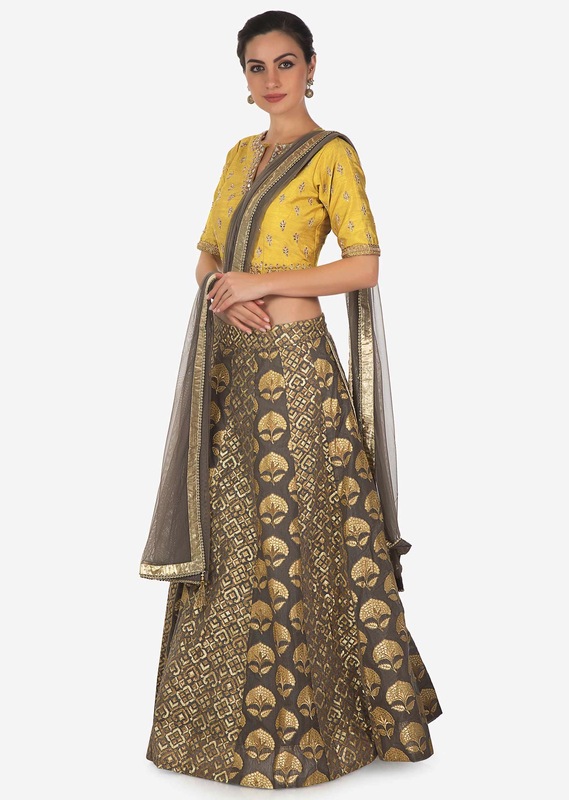 Grey lehenga featuring with alternate kali in brocade silk. 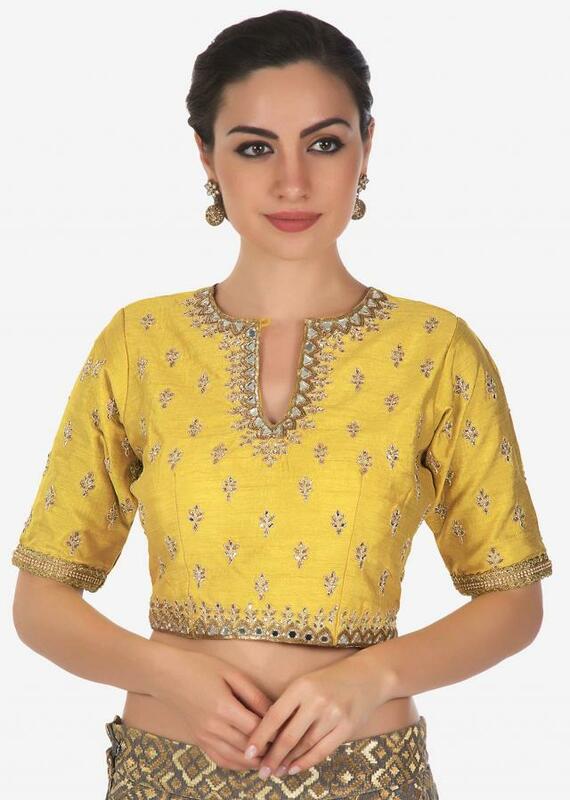 Matched with yellow blouse in raw sill with kundan butti. 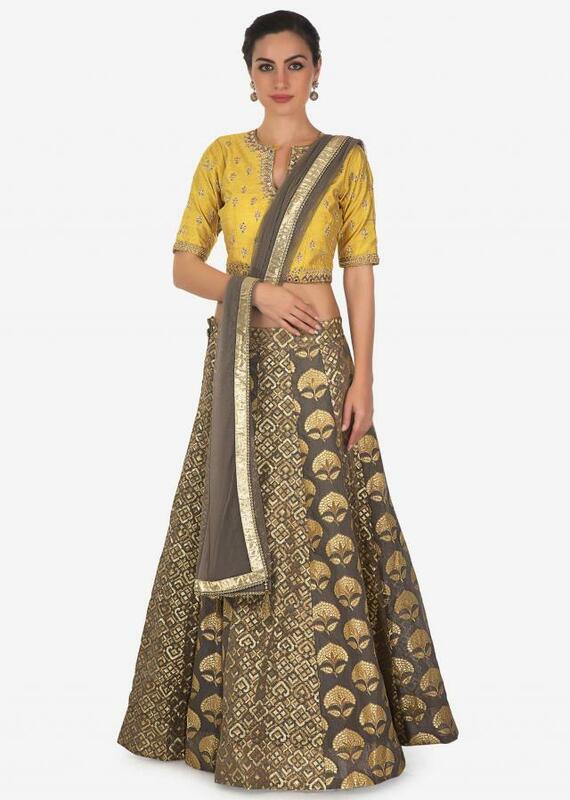 Dupatta is in grey net with raw silk border.